Now that I have two older children I miss the handmade cards. They now have the money to buy me their own Christmas present which is lovely. But when I get the tree and decorations down from the attic I find reminders of their younger years. The cards they made at school, the tree decorations they made from toilet rolls and glitter. 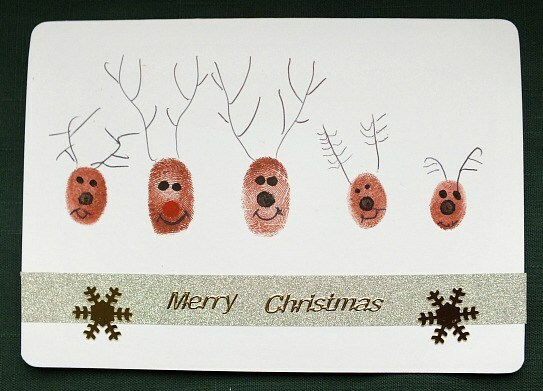 Some of the simplest ideas are the most effective as these Fingerprint Christmas Card Ideas show. 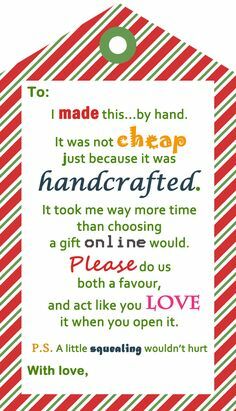 These handmade gifts were made with love. Their childish handwriting reminds me of years gone by. Therefore I am embracing the handmade and craft activities that Erin wants to do. Erin loves crafting and often draws us pictures, writes us cards and makes us things. When she was little and in a spica cast due to hip dysplasia we did lots of craft activities to keep her entertained as she couldn’t walk. Therefore Erin has been busy making Christmas cards. We stocked up with blank cards, glitter and paint from The Works Christmas shop. 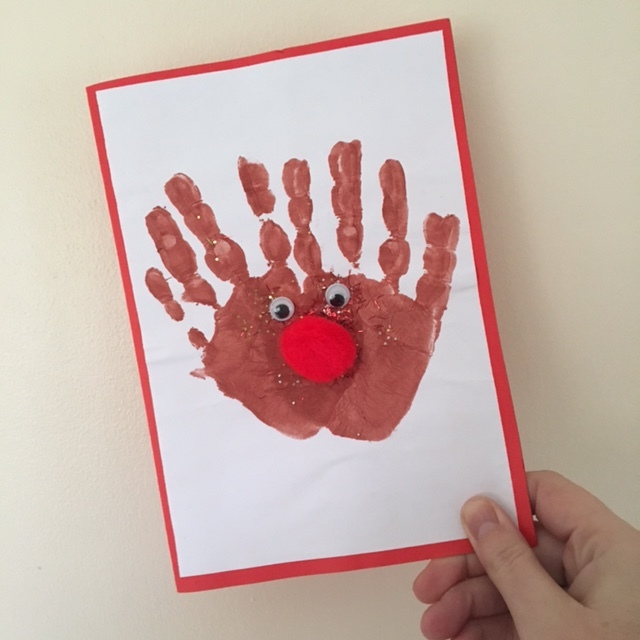 Handmade cards mean so much to their recipients and here we show simple cards that can be made by children. Handprint and fingerprint cards are simple and effective. Card 1: Paint hands with brown paint. Place hand on cards. Add a red nose for the Reindeer. Add two wiggly eyes and sprinkle some glitter over the paint. Card 2 I spotted over at pinterest and you find the tutorial at PBS Parents. Card 3 Reindeer family cards which are perfect for younger crafters. The instructions can be found at Let Kids be Kids. 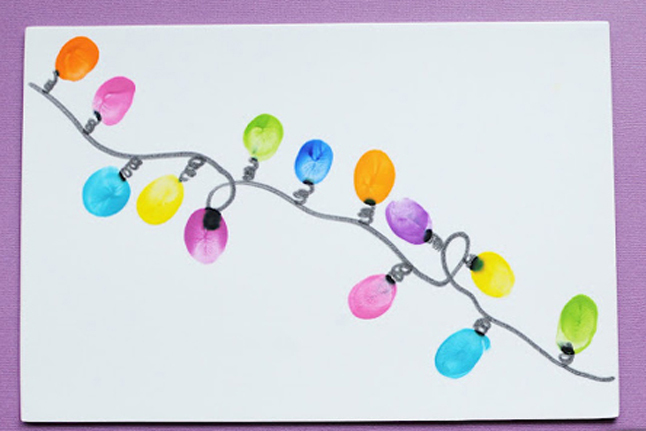 Tonight we are making Christmas tree cards. We will simply be drawing a brown line for the trunk and then adding green fingerprints in a triangular shape to get the tree. I know Erin is planning to use glitter too. It is a good job that we have plenty of craft supplies in. Whenever we go shopping at the weekend Erin always asks to go into her favourite shop which is The Works and she rarely leaves empty handed!